Across our portfolio of clients, many of whom provide support and programs for low income families, seniors, foster care children, homeless youth, teen parents and veterans, we see the need for healthy living practices. Our relationship with a company called Tower Garden by Juice Plus+, has allowed us to bring an innovative approach as a program supplement to many of these organizations. Tower Garden has created a state-of-the-art vertical aeroponic growing system to expand gardening into environments where traditional growing may not be possible. Our relationship allows us to offer the means to bring healthy eating to these communities who realize the benefit from nutrition education as they can also build a culture of community around Tower Garden activities. 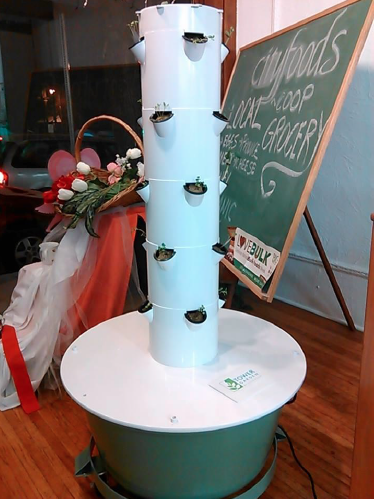 Contact us to find out more about Tower Garden or click here: http://jsobel.towergarden.com. This “harvest” was being used for a soup kitchen. Can easily be placed in a classroom or a community room. Raiserve has cracked the code on how to monetize volunteer service hours by engaging an organization’s most passionate advocates to raise money for the organizations that they support. Raiserve's revolutionary platform instantly allows volunteers to raise money by getting sponsorships for each hour they volunteer. Contact us to find out more about Raiserve.